Harrisburg – Sept. 28, 2016 – Legislation to create a new opioid awareness program for students in middle and high school was approved unanimously by the state Senate and is now headed to the House of Representatives for consideration, the bill’s sponsor Sen. John N. Wozniak (D-Cambria/Bedford/Clearfield) said today. Wozniak’s proposal (Senate Bill 1212) would require the Department of Education in consultation with the state departments of health and drug and alcohol programs to craft an opioid awareness curriculum for public and private schools. The program is targeted to students in grades six through 12. “Given the opioid crisis, we need to do all we can to ensure that students are well aware of the dangers associated with opioid abuse,” Wozniak said. “My hope is that age-appropriate materials can be developed that clearly explain opioids and how they can be misused. Wozniak’s proposal is a part of a legislative package offered by Senate Democrats to address opioid abuse. He said that his efforts were bolstered by a piece written in the Johnstown Tribune-Democrat that reported on the success of Botvin LifeSkills Training. “The article highlighted a study indicating that area youth were retaining education related to teen substance abuse,” Wozniak said. “That is encouraging and helps underscore the need to promote education for students. The Westmont lawmaker is vice-chair of the Center for Rural Pennsylvania. 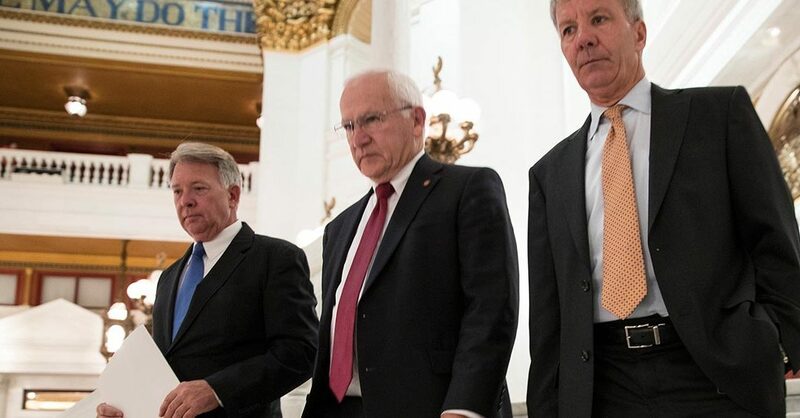 He has been heavily involved in this issue for several years and has joined with the center’s chair, Sen. Gene Yaw (R-Lycoming), to spearhead several legislative initiatives to address opioid abuse. The center has conducted 11 statewide hearing on opioids and heroin abuse. The issue has drawn significant attention in recent months. The General Assembly met in joint session today to hear Gov. Tom Wolf’s plans to curb opioid and heroin abuse. Over the last several months, the governor conducted a statewide listening tour to better understand problems resulting from opioid abuse.